Activity: You’re hired as a wildlife protection expert! Quick summary: Students will consider the environmental impact of a wind farm and come up with wildlife protection strategies. 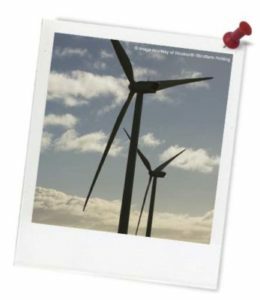 Students are asked to investigate a bird, animal or insect living near the Woolnorth Wind Farm, and to suggest solutions to potential problems or hazards facing this bird, animal or insect. This lesson is designed to get students thinking about conservation and sustainability. Students will respond creatively and scientifically to stimulus materials and a case study. Scientific understandings, discoveries and inventions are used to solve problems that directly affect peoples’ lives (ACSHE083). With guidance, plan appropriate investigation methods to answer questions or solve problems (ACSIS086). Construct and use a range of representations, including tables and graphs, to represent and describe observations, patterns or relationships in data using digital technologies as appropriate (ACSIS090). Syllabus outcomes: ST3-7PW, ST3-6PW, ST3-4WS. Resources required: Internet access, access to computers/tablets for online research, Student Worksheet (one copy per student OR computers/tablets to access the online worksheet). 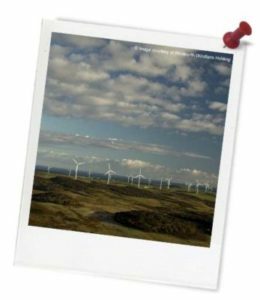 Keywords: Energy, hydropower, wildlife, Woolnorth Wind Farm, Hydro Tasmania. Overarching learning goal: This lesson is designed to get students thinking about conservation and sustainability. Students participating in this activity will respond creatively and scientifically to stimulus materials and a case study. Thought starter: What are some of the most famous Tasmanian animals? You’re hired ... as a wildlife protection expert! But who are you working for? This task requires you to research ONE creature (either a bird, animal or insect) living near a wind farm in Tasmania and complete the Environmental Impact Table below to show how the creature can be protected. Watch the following video about the benefits of wind power.